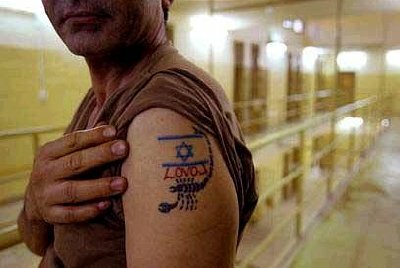 The Arab Organization for Human Rights (AOHR) said on Saturday that Israel’s intelligence agency Mossad is interrogating Arab prisoners in Iraqi jails. “I received calls from Jordanian prisoners at Iraqi jails and they informed us that Mossad is interrogating them and other Arab prisoners in jails in Iraq,” Abdul Karim Shreideh, head of the prisoners and detention centers committee at AOHR, said in a press conference in the Jordanian capital of Amman Saturday. “The prisoners said Mossad gives them the option to work with the agency as their agents and thus be able to leave the prisons or remain in jail,” Shreideh told reporters at the conference held to launch the AOHR’s annual report on situation of human rights in Jordan in 2009. According to the organization, there are 33 Jordanians jailed in Iraq and thousands of Arab prisoners in Iraqi jails. In the press conference, the AOHR President Hani Dahleh urged the Jordanian government to intensify steps to secure the release of Jordanians jailed abroad. There are 250 Jordanians jailed in Syria, 41 in Saudi Arabia, 37 in Israel, seven in the United States, five in Iran and one in Kuwait. The Jordanian government has repeatedly stressed that the issue of Jordanians jailed abroad tops its priorities and that it is exerting its utmost efforts to follow up on the issue.